What is Side Draft Booth..? 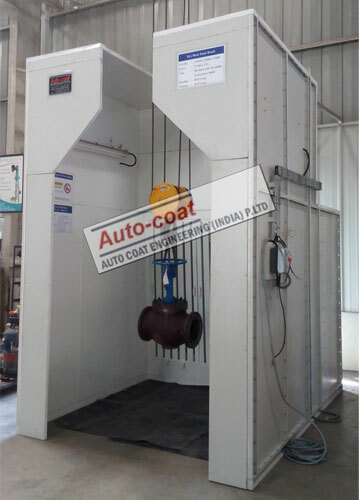 As per OSHA Standards effectiveness of the Side Draft Paint Booth is dependent upon air draft in the direction of spray painting by painter is inside the Side Draft Paint Booth. So in a Side Draft Paint Booth open from front side air draft moves towards exhaust chamber & thus over sprayed particle (paint particle) moves towards exhaust chamber along with direction of air draft. So it has to be always remembered that in the Side Draft Painting Booth, Component will be rotated with the different devices like Turntable, Scissor lift with the Turntable, Rotating Hanger suspended from top, Hoist with the rotating Hook & similar devices. With such devices Painter remains at same location & Spray Painting of all sides of the component is possible inside Side Draft Painting Booth. 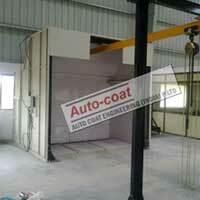 Side Draft Painting Booths are useful for small or heavy components, where painting is done standing in one position. 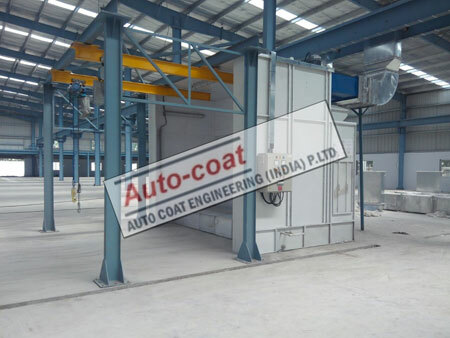 For Painting of heavier components like Pump, Electric Motors, Valves, Engines, Gear Box Autocoat has developed & supplied Specials Side Draft Painting Booths with Monorail & Hoist (volume 10 Nos. 100nos. /shift.) 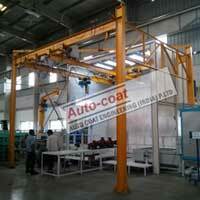 Such Autocoat combination Side Draft Painting Booths is well accepted & extremely popular. Side Draft Booth can be Dry Type or Water Type depending upon paint consumption. 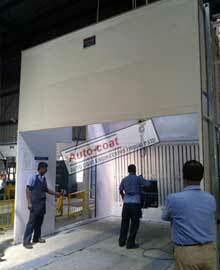 Autocoat Side Draft Paint Booth fulfils. 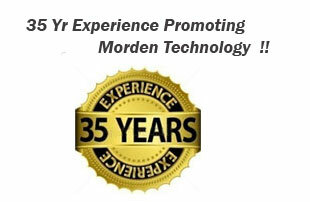 Helps to achieve QUALITY OF PAINT FINISH. 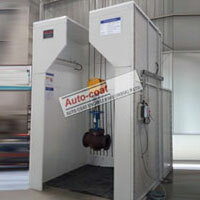 Autocoat Engineering is the most experienced Side Draft Spray Booth Manufacturer since last 35 years in India. 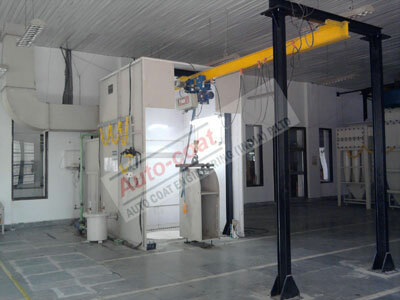 Autocoat Engineering have been manufacturing superior quality Side Draft Spray Booth among other valuable products .We have wide experience of manufacturing Side Draft Paint Booth with different material handling and different product size , and different production volume.